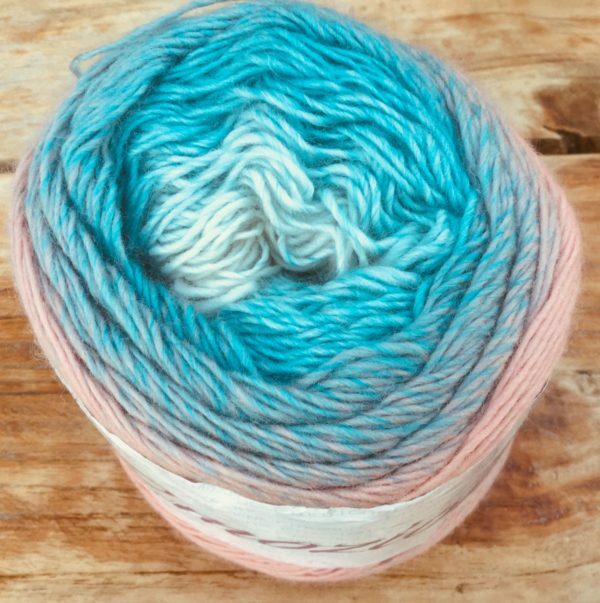 is a beautiful 100% fine merino yarn cake. 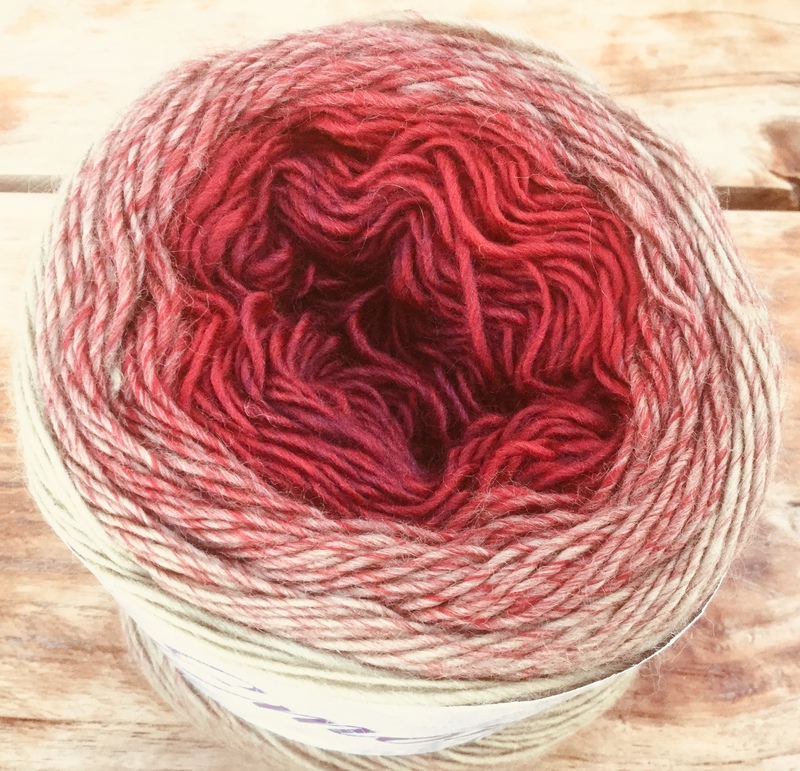 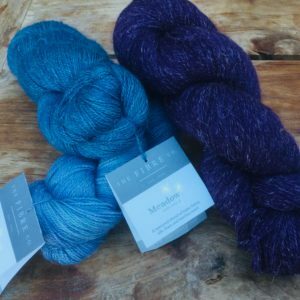 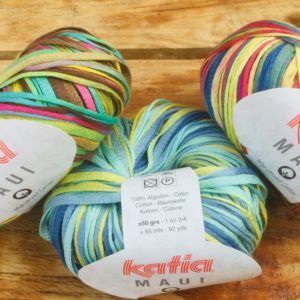 This yarn is every bit as soft as you would expect from a pure merino yarn and comes in gently variegated colour combinations. 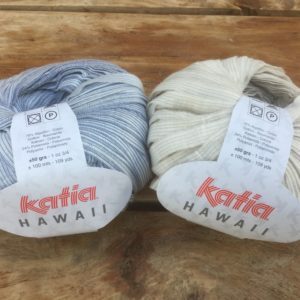 It has the most luxurious feel when knitting or crocheting and produces a lovely drape when finished. 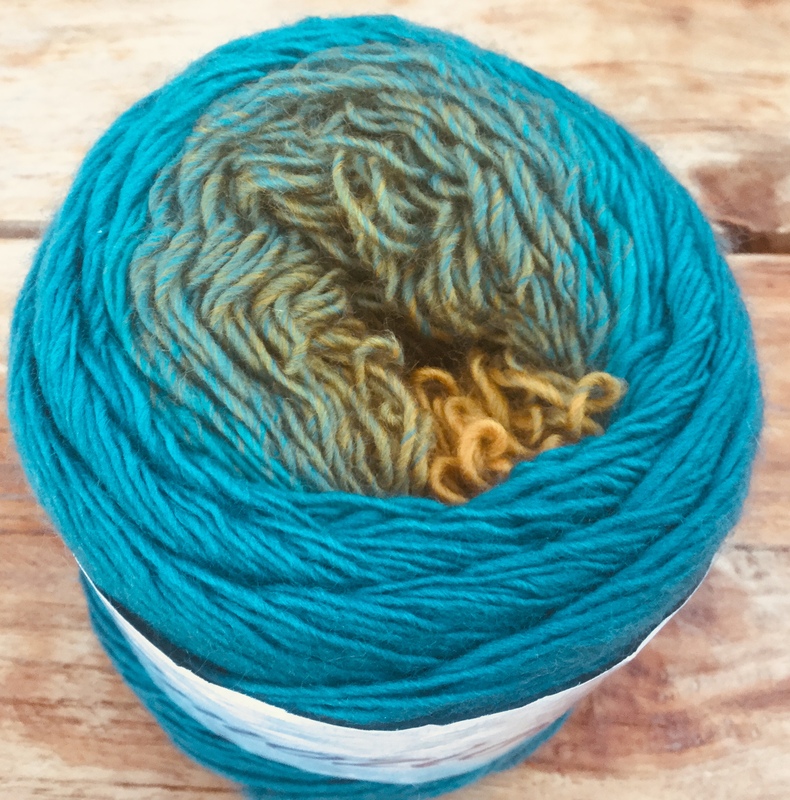 This yarn is perfect for a super soft luxury sweater or cardigan, but also makes the most delightful wraps, shawls, cowls, hats and mittens. As a blanket it would be the softest cuddle you could get.